The perfect 'piece' for fans of antique hair clips - this looks like a real treasure. Absolutely charming, you would be forgiven for thinking this flower hair clip was a precious family heirloom which had been handed down through each generation. 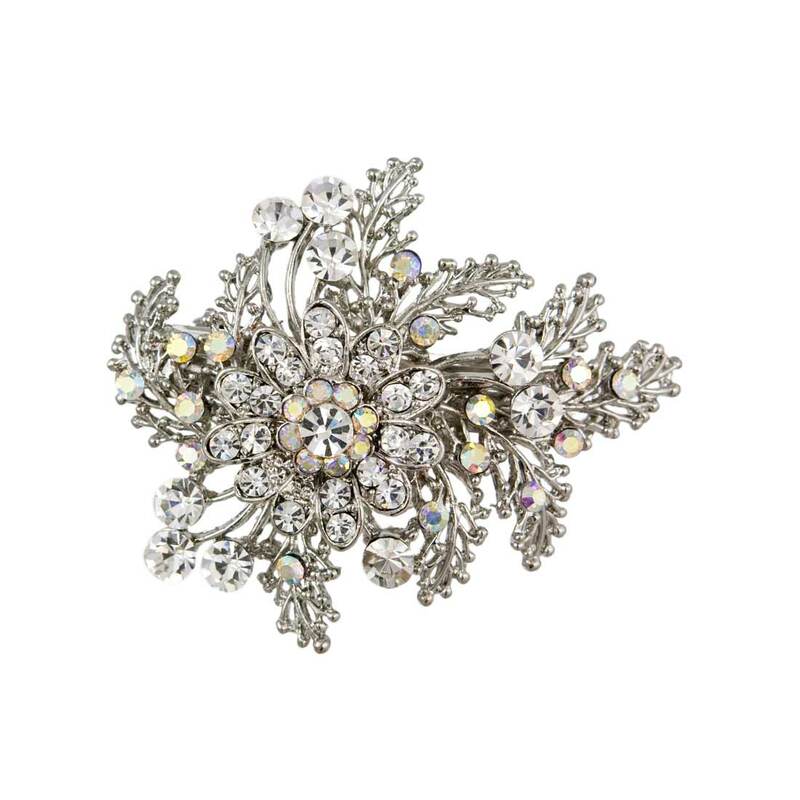 Featuring a silver tone bouquet design with a clear and AB Austrian crystal encrusted flower surrounded by foliage scattered with random crystals, this is perfect if you adore the romance of antique hair clips. 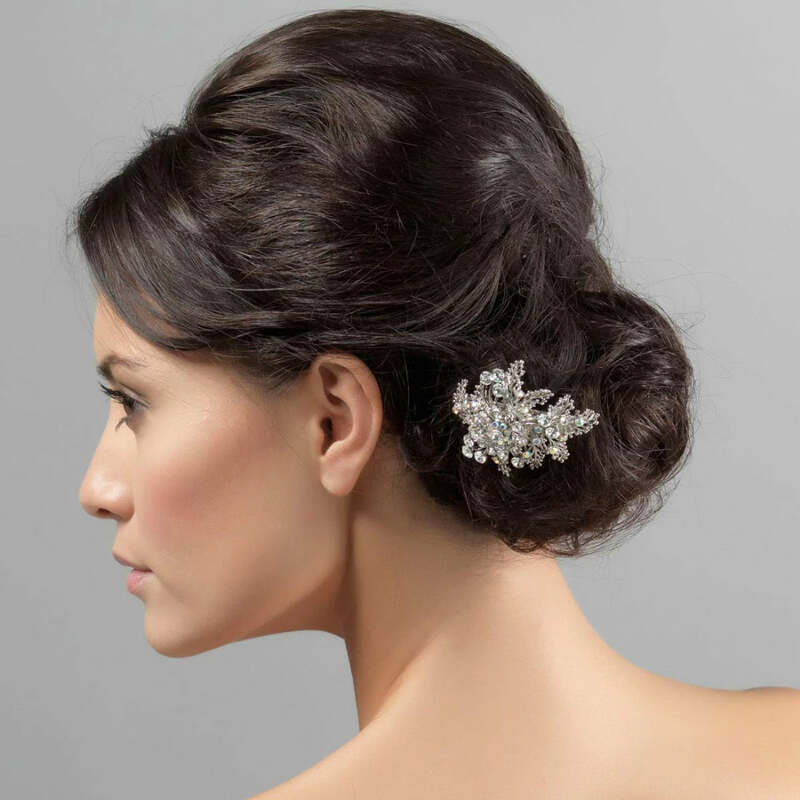 Wear randomly pinned in a romantic chignon for pure captivating style, at the side of loose tumbling curls or to dress a classic French pleat. Brides and bridesmaids wearing vintage style wedding gowns are sure to adore this 'piece' - the perfect wedding hair accessory for divine antique chic!